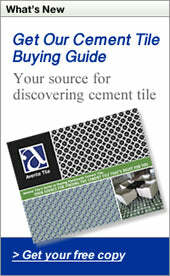 The most visible part of any tile installation is, of course, the tile but what is the next thing you see. The grout! The grout, in many ways, is more visible as the smaller lines that make that up can draw your attention away from the tile itself. If those grout lines have cracks or are crumbling, your eye will naturally shoot right to it. So let's look at few things and how they should be handled to make sure that the grout you use compliments your beautiful tile. Do you know the difference between sanded and unsanded grout and where each should be used? Now the difference in the two is easy. One has sand, one doesn't. Now where to use which one is determined, not by the tile itself, but rather by the width of the joint between them. Now why does grout crack? You've applied the proper grout but down the road cracks start to appear in your grout lines and there can be many reasons but most have to do with the installation long before the grout was added. Most of what we will look at today is in reference to flooring but there are many points that are similar with all tile installations. 1. The first potential reason is that the thinset below the tile was improperly applied and does not have enough thinset. 2. The subfloor is moving and as it moves the grout lines crack. Did you apply the tile directly to the wooden subfloor? Tile should never be applied to a wooden subfloor due to the natural movement that is part of wood. 3. 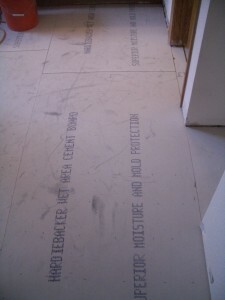 Was the cementious backer board that was applied over the subfloor installed correctly? Maybe there weren't enough screws or thinset below or it was spaced improperly. Any of these could cause movement and that causes cracks. 4. As another possibility- Is there adequate space between your wall or wooden trim and your grout? Grout doesn't contract and expand but wood does and that could be part of the issue too. It is a good idea to leave a 1/4" space between any tile and wooden baseboards or trim so that if the wood expands, it will not apply pressure to the tile and possible crack the grout. To accomplish this a "shoe" molding can be applied to the baseboard, effectively covering the gap and allowing the baseboard to move above the tile while applying no force to the tile or grout. 5. Did you apply your tile on a newly finished/poured concrete slab? Concrete has to cure and as it does it moves, so if your concrete floor or base is new and the tile was applied too soon, it could be the reason your grout is cracking. I would also add there could be other reasons for grout to crack other than those listed above such as improper mixing ie too much water in the mix. This would cause the grout to improperly dry leaving it prone to cracking later. It could also be that water was added again later in the mixing process and this will cause the grout to be dry and crumbly. Now if you are still in the planning stage I would offer a suggestion or rather a product and installation method that will help avoid the problem of movement and grout cracks. It's a mat that is laid in a bed of thinset and then a layer of thinset is applied above with the tile and grout. As we have pointed out before, planning ahead and armed with knowledge will lead to a successful installation as it is so much easier to do right the first time than have to go back and correct later. Today I'm excited to highlight our new line of field tiles, Arles. Arles is a handmade tile with a stunning, reactive glaze in colors reminiscent of the seasons in Provence. If you've ever felt a cold Mistral in your face or seen the hay dry in the fields on a warm summer day, you'll begin to see and feel the colors in Arles. There’s something very unique about the rich glazes in Arles. They are full of movement and fluctuation. Arles is available in five colors: Aqua, Mist, Hay, Cork, and Wheat. Each color is stocked in a 4"x4" field tile, a molding, and a simple liner. Rhomboids are also available. When purchasing samples, make sure to be get at least four different pieces so that you get a good idea in the variation of color. Aqua ranges from inky black to aqua blue. Mist is an intense, blue-grey tile. "We use a local terracotta body which allows the titanium oxide in the glaze to move the way it does. We fire it differently than our other ceramic tiles too, and that’s why each tile has such distinctive qualities," explains the owner of the design studio where they are made. "Basically, this combination is what makes this line is so different. There is great variation in the glaze color ranges. The reactive glazes change so much, so it is never the same twice." And, don't forget, Arles is 100% handmade. You'll see the hand of the artist in each tile body and in the glaze. Hay ranges from yellow to light brown. These tiles are suitable for all indoor wall applications. They can be used in outdoor locations; but, not in frosty environments. Cork is a mixture of rich, matte chocolate shades. Wheat is a saturated earth brown that varies from medium to dark. With its slightly irregular, handmade rustic-body, Arles looks great when laid with wider grout lines. Because there is a high degree of variation in the hand-painted glaze colors, it adds interest and movement to any installation. Arles is a great way to achieve a rustic or relaxed feel with field tiles and bring the colors of Provence into your home. A few weeks ago a Manhattan designer, Celia Reiss, called to purchase some more Cuban Heritage cement tile samples. She mentioned that the Cuban Tiles she purchased at the beginning of this year had been installed and she was really pleased with the design. I am, too! Here's the results. I smiled when Celia informed me that she installed the tiles in her home. She went on to explain, "The tiles were installed in my own home to be able to show my clients how fabulous it would look." All of the design and photo credits go to Celia Reiss Interiors. 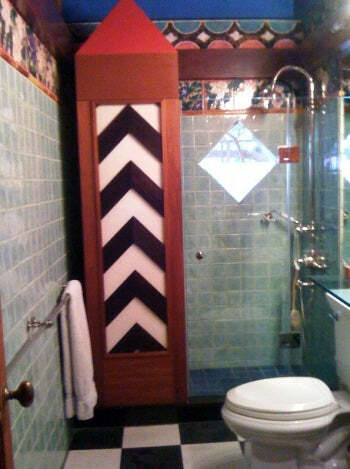 For more photos of this project read her blog post, Bathroom with a French Moroccan twist. Don't miss her most recent projects on the Celia Reiss Kitchen and Bath Blog. One design element that I love is that the floor tile wraps up to the bath – carrying the pattern on both vertical and horizontal surfaces. This creates a very sophisticated look. The bath tile is in perfect balance with the floor tile. The antiqued wood vanity with marble top creates a sumptuous, but comfortable space. The cement tile pattern is Cuban Heritage Design 140 with the contemporary colors Light Turqoise, Brown, and Caribbean Blue. The cement floor tiles are all 8" x 8". You can see more images of this project on her blog at Bathroom with a French Moroccan twist. There are wonderful images that detail the vanity, pulls and sink - not to mention the tile. To find out more about the designer, visit her website, Celia Reiss Interiors. You should also visit Celia Reiss Interiors Kitchen and Bath blog to see photos from other installations. Cement tiles are an excellent way to add interest and style to a bathroom floor. Thank you so much for sharing your style and photos, Celia. Your bathroom is stunning and I love the personal touches. There is no better "seal of approval" than a designer using a product in his or her own home! We’re so glad we could help achieve this stunning look with our Cuban Heritage tiles. While in Florida last month, I took a tour of a new home, the VISION House® in INNOVENTIONS at Epcot®. VISION House is presented by Green Builder Media®. A twitter friend, Mark Johnson, was kind enough to invite me and a few others to join. At the time, the attraction was not open to the public and there were countless last-minute details to complete before opening day. So, I was thrilled to get a "sneak peak" before the official unveiling on Earth Day (April 21, 2012). The tour group included architects, designers and bloggers. VISION House in INNOVENTIONS at Epcot is an attraction – not a real home. You are a guest of the Monteverdi family and receive a guided tour. During the tour, your guide explains the features of the home and how green building technology and standards have been applied. You’ll discover how whole-home automation works, how the home can generate energy, save energy and conserve water. Technology is a key theme and you’ll see how intelligent products and advanced technologies provide a key role in reducing our impact on the environment. One of the cornerstones of the tour is showcasing sustainable living solutions. Another theme is that buildings are not simple shelter. They are an interactive set of systems that work together to create a green living environment for inhabitants. "Sustainable living is about taking personal responsibility," says Green Builder® Media CEO Sara Gutterman. As you explore the home you’ll discover ways to take responsibility and provide for a greener tomorrow. The bathroom has showers and faucets that provide spa-like experiences; but still conserve water. There is a toilet that raises and lowers the seat with a foot pedal and plays your favorite music. It also has a built-in seat warmer. I wasn't able to find out much about the tiles! We are all familiar with the benefits of solar panels. One of the most cutting-edge innovations I saw are smog-eating roof tiles. They absorb smog in the air and filter it. I was thrilled to see quality design being presented with sustainable and green solutions. I would liked to have seen tile incorporated more in the design and I think tile will play a prominent role in green building. It's important to remember that green living doesn't start with a new home tomorrow. It starts today with the choices you make and can be as simple as turning off a light, grocery shopping with re-usable grocery bags and re-cycling. When choosing new appliances look for the most energy efficient one and when it comes time to build or remodel don't forget about VISION house. The green building and sustainable living technologies you see are available today. I hope you enjoyed the "sneak peak" tour. 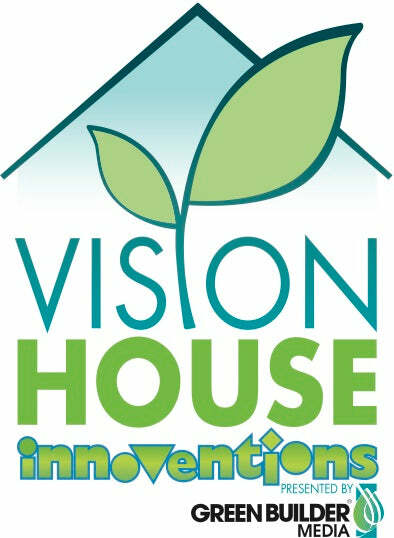 If you are at Epcot make time to visit VISION House® or feel free to explore online at visionhousegreen.com. Thank you Mark for organizing this tour. I appreciate Sara Gutterman and Ron Jones of Green Builder Media for making time to spend with us. Green Builder Media is responsible for a series of demonstration homes built around the country that showcase the latest in green design, building techniques, and products. I'm looking forward to VISION House Los Angeles and will share that home tour as well. Green Builder Media’s VISION House® Series is comprised of demonstration homes built around the country that showcase the latest in green design, building techniques, and products. Each house utilizes site-specific solutions for key green building issues including energy use, water conservation, land use and orientation, waste management, indoor environment quality, and products and materials. Green Builder® Media, LLC is the leading media company in North America focused on green building and sustainable living. With a comprehensive suite of print and digital media solutions, demonstration projects, case studies, online training, and live events, Green Builder Media assists building professionals in preparing themselves for the new green economy and helps homeowners understand how to live more sustainably. For more information go to Green Builder Media. INNOVENTIONS is located in the heart of Epcot® at the Walt Disney World® Resort in Lake Buena Vista, Florida. Creativity and imagination abound as guests celebrate the inspiration and innovations that improve their lives and expand their horizons. Hands-on, interactive exhibits allow children and adults to be immersed into ideas that inform, entertain and inspire. For more information online visit INNOVENTIONS. The VISION House® in INNOVENTIONS at Epcot® opened on Earth Day 2012. It is a groundbreaking green show home exhibit presented by Green Builder® Media in collaboration with Walt Disney Imagineering. This experiential exhibit in the heart of Epcot® highlights the very best in green residential design and sustainable living. Visitors should leave with a greater understanding of green design, technology, and products as well as a host of sustainable living ideas that they can incorporate in their lives the minute they get home from vacation. Other sponsors for this exciting project include Siemens, GM, Ingersoll Rand, Boral, Hanwha Solar, Panasonic, Pella, Schott, National Fire Protection Association, Armstrong, and Kohler. Note: This is the second in series on home tours. you’ll find this post strays from our policy of discussing hand crafted tile to belatedly honor Earth Day. "I have attached a picture to share with your artist to show how beautifully the tile mural turned out in our kitchen remodel. Thank you for your excellent service and product. We are thrilled with the results." I'm impressed with the results too! There are three things I really like about this installation. First, the contrast in finish. The mural really "pops" because its matte finish helps set it apart from the sheen of the glossy field tile. I typically see these murals installed with natural stone, tumbled marbled or travertine. The mural's standard "twig tile frame" was replaced with bright pencil trim that really highlights the installation. My compliments to the installer for the nicely mitered corners on the frame. Well-executed installation always shows in the details. Finally, I commend the use of color in the field tile - well done! I like seeing this mural with something other than beige or neutral colors - it provides a fresh look. The Summer Harvest mural is 23" long and 8" high. Each mural is hand painted and made-to-order just for you. Colors can be slightly customized to work more intimately with your space. For instance, the grapes can be purple or red. Tile murals are artwork, so make sure you find something that speaks to you! If you are considering a tile mural for your home, take a look at our tile murals. Make sure to read our tips on how to to create a striking mural backsplash. Fruit and vegetable tiles are a classic kitchen theme and one of the best ways to create an impact is with a tile mural. A tile mural is art. They look best framed (with tile of course). Not only do tile murals provide a stunning look, they simplify the design process and installation – especially, if you are a DIYer. Why? They provide a starting point for color and are the focal point of the room. Once you find a tile mural that you love, the remaining color choices, counter material and cabinets will all play supporting roles that start from here. Tile murals simplify the tile layout because the remaining backsplash ufses ield tile laid with a consistent pattern. Our customers have great ideas and find ways to put a fresh spin on a classic look. In this installation, I like the use of different finishes between the mural (matte) and the field tile (gloss). I also like the use of color in the field tile. Thanks to our wonderful customer for sharing their installation with all of our readers. I hope it helps you find some inspiration.